Cute novelty item and easy to make! 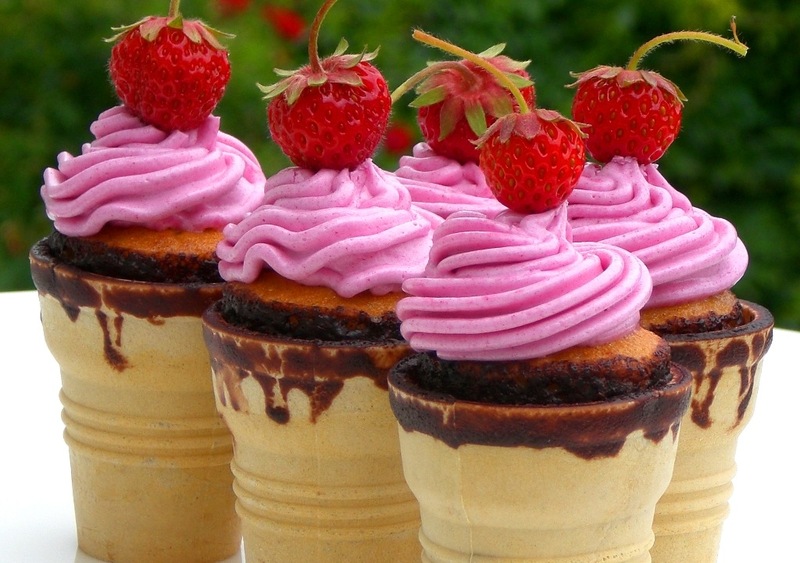 Perfect add of crunch in your cupcake, and a great idea for parties. Warm pie crust cone topped with an icy scoop of apple pie ice cream . Oh my gosh…yes. 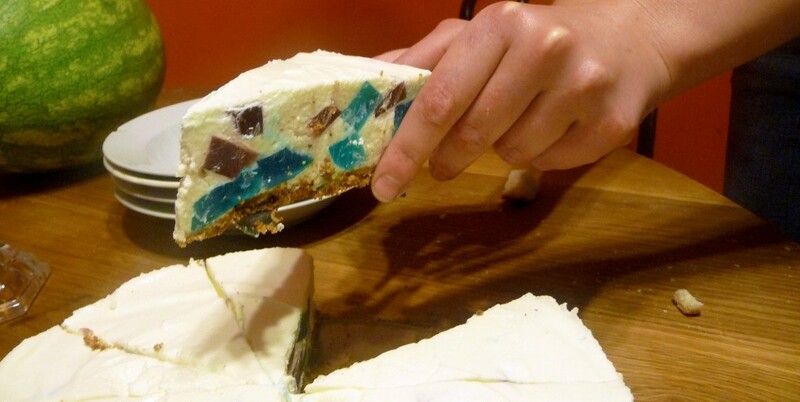 Imagine having a beautifully colored cake exploding with all your favorite candies. 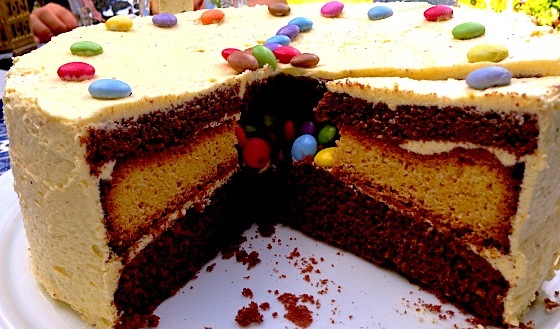 That would be the piñata cake. Pretty creative. 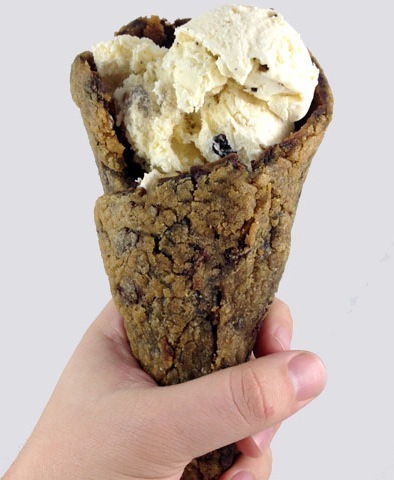 A super chocolate chip cookie, rolled into a cone. It’s like a pizookie you can hold! Another trybrid (tribrid?)! Except with yogurt instead of cake. 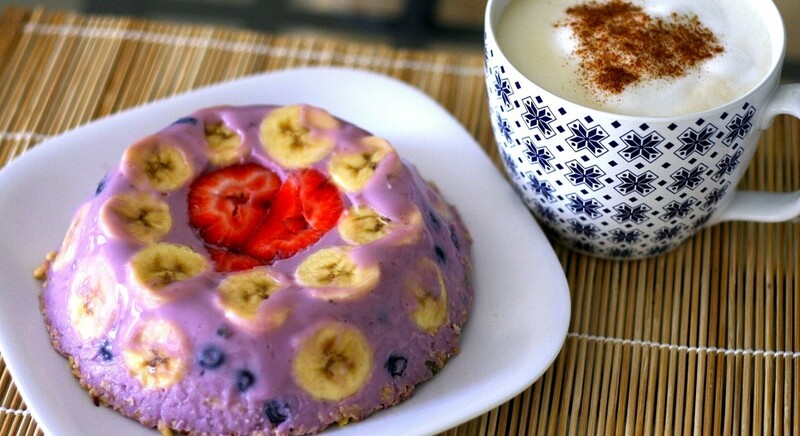 Wow, that looks pretty healthy with the fruits, and I can see myself enjoying it with a coffee on the side on a nice Sunday morning. Hm… reminds me of #1, except without cupcake decór. 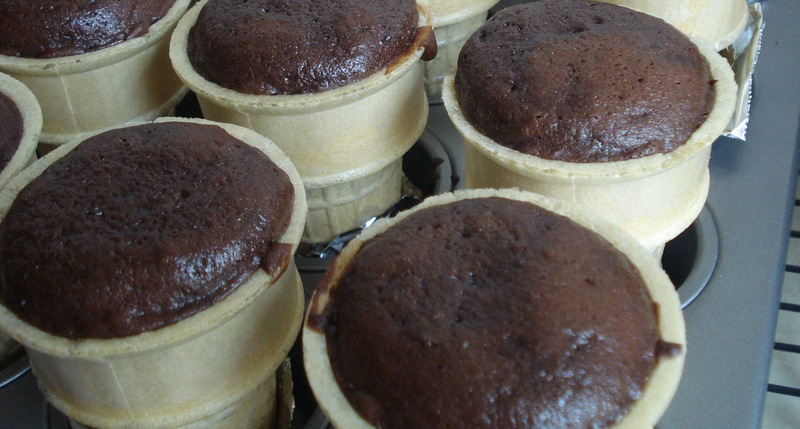 Nonetheless, the thick brownie chocolatiness and light cone crunchiness make a sweet combo. 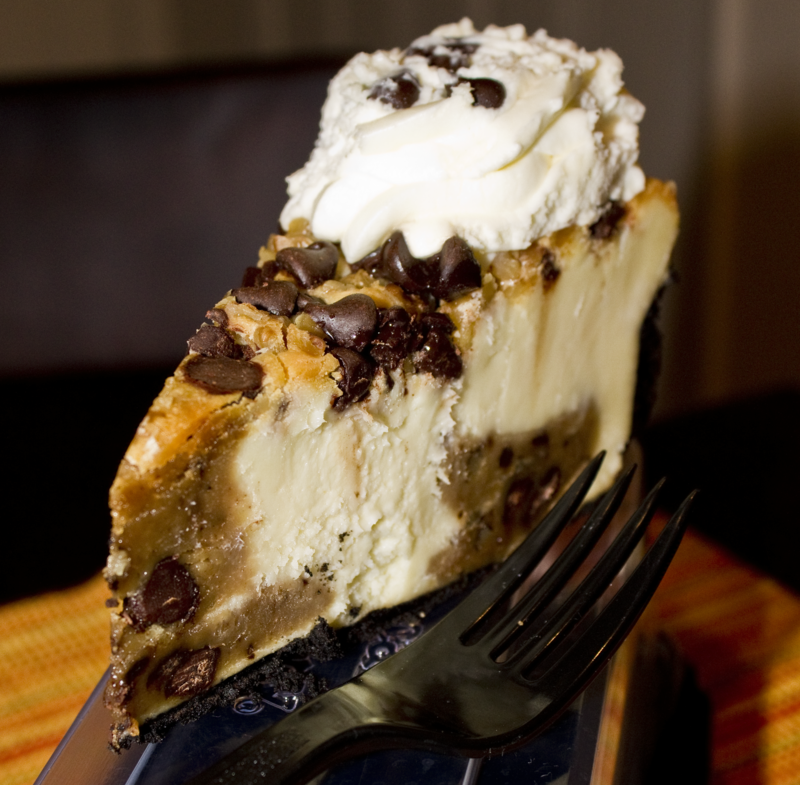 For the cheesecake and cookie dough lovers, this is simply a riot. 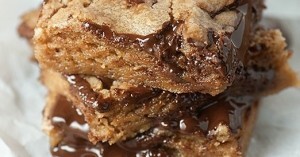 Satisfy both of these decadent cravings at once! 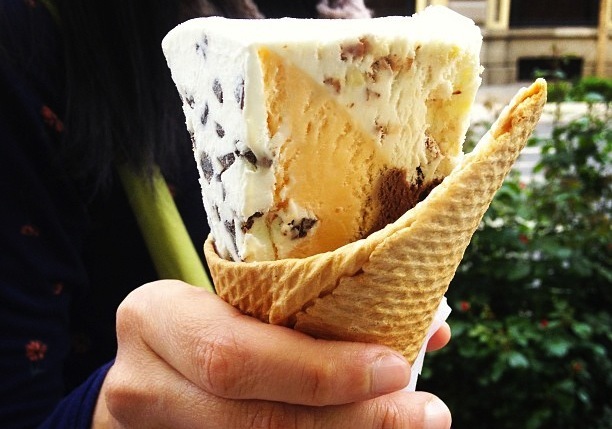 I feel like you can put anything on an ice cream cone to get a hybrid. Nonetheless, definitely easier to cut ice cream into cake slices instead of scooping. Clever hack. Who said donuts had to be sweet, or that pizzas had to be flat? 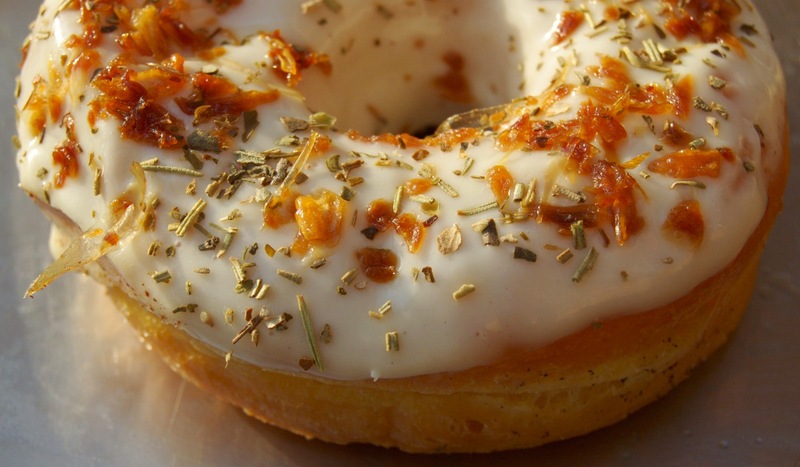 Get the fluffiness of a donut and the flavor of the pizza in this ring of delight! 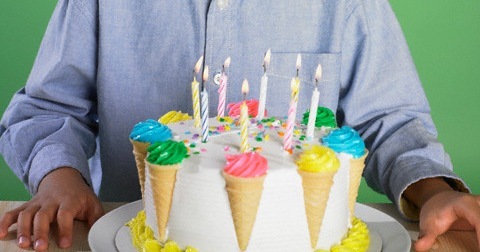 Now you are able to have your ice cream cone and cake and eat it too! 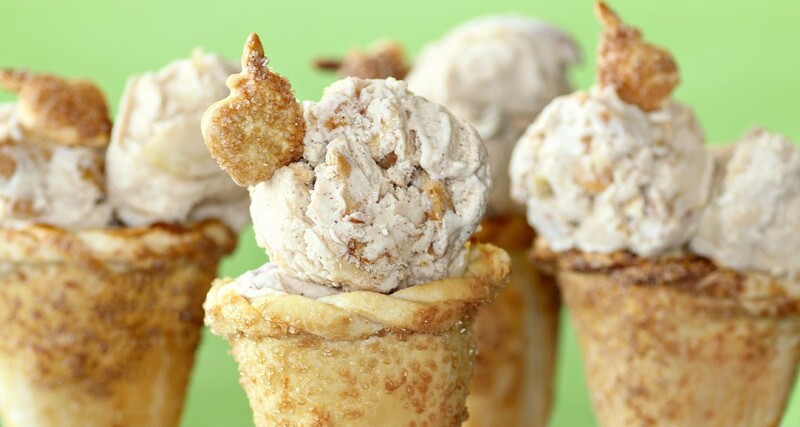 But seriously, slap an ice cream cone with another dessert, and you are the master of hybrid desserts! 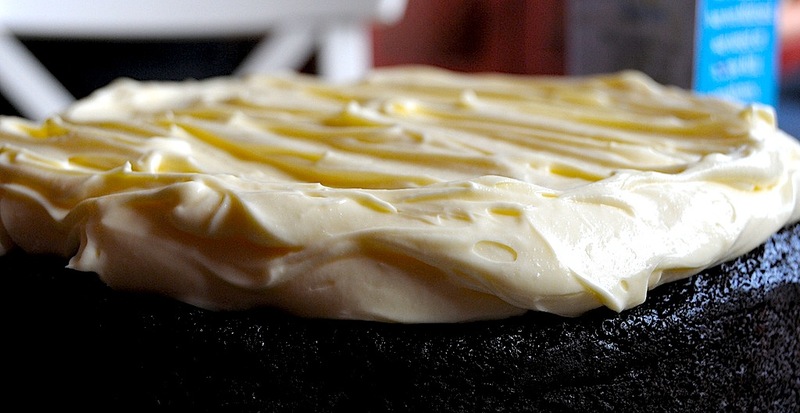 Made with malted Guinness, chocolate, and cream cheese (or whipped cream), the Guinness Chocolate Cake is a decadent (and tipsy) reality. This delight combines two stand alone desserts: caramel apple and cheesecake. 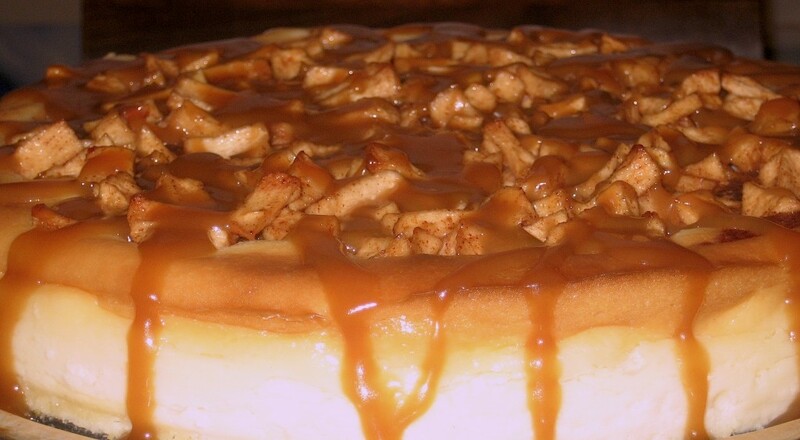 And it has three sweet-tooth satisfiers–drizzling caramel, sour apple, and rich cheesecake. 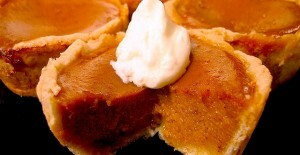 Mmm, can’t wait to dive in. And…there we have it! 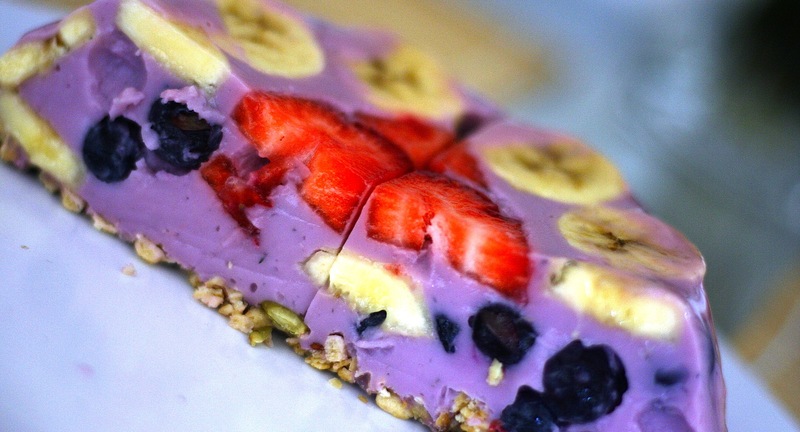 Now the onus is on you to find where these crazy desserts are hidden. I, on the other hand, have to go invent the next biggest dessert by finding an ice cream cone and attaching it to something. Written and researched by contributor wfr and hungry hacker; edited and posted by hungry hacker.